KUALA LUMPUR: Malaysian Industrial Development Finance Bhd (MIDF) has received the green light from Bank Negara Malaysia (BNM) to proceed with negotiations on a proposed merger with Al Rajhi Banking & Investment Corporation (Malaysia) Bhd. MIDF said BNM has issued a letter stating it had no objections for MIDF and its sole shareholder, Permodalan Nasional Bhd (PNB), to commence negotiations with Al Rajhi Banking & Investment Corporation, Kingdom of Saudi Arabia (Al Rajhi KSA) on the merger. “The negotiations must be completed within three months from the date of the letter issued by BNM. “We look forward to having fruitful discussions with Al Rajhi KSA and to a mutually beneficial outcome,” said MIDF group managing director, Datuk Charon Mokhzani in a statement yesterday. MIDF said the approval received should not be construed as implying that a final merger agreement would be reached or that BNM had approved the merger. 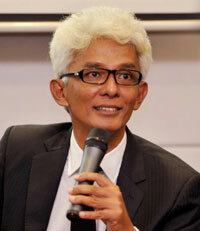 “MIDF will have to obtain prior approval from BNM or the Minister of Finance, with the recommendation of the central bank, as the case may be, pursuant to the Islamic Financial Services Act 2013 and the Financial Services Act 2013 before entering into any agreement to effect the proposed merger,” it added. MIDF said if an agreement is reached, it would also be subjected to various conditions, including all relevant legal requirements and the approval of all regulatory authorities in both Malaysia and Saudi Arabia.